* The Public is Invited to attend. The Danville-Alamo-Walnut Creek Branch of AAUW presents: The Honorable Ellen Tauscher, former 7-term Congress Member and Undersecretary of State for Arms Control and International Security in the Obama Administration. 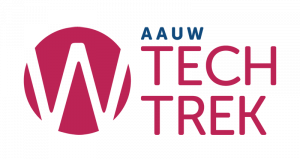 You will also have an opportunity to learn more about some of the great things AAUW does for the local community such as Tech Trek. Tech Trek is a science and math camp designed to develop interest, excitement, and self-confidence in girls who are entering the eighth grade. You will hear first hand from some of the 11 Tech Trek girls we sponsored from six Danville, Alamo and Walnut Creek Middle Schools in 2018. They will talk about their experiences at Sonoma State University this past summer and the impact it had on them. If paying by credit card or Pay Pal, click here. ( $3.00 fee applies). If paying by check, please use the following form. Please mail this reservation form and your check payable to: Danville-Alamo-Walnut Creek AAUW, Membership Brunch, P.O. Box 996, Alamo, CA. 94507. If you have any questions, contact: Marsha Anderson Landau at 925-351-8188 or Marsha888@comcast.net. 2018-19 Membership VP.